As letting agents in Lambeth, Denhan has been managing rental properties in the London borough of Lambeth for more than 15 years. In that time, we have built up excellent relationships with landlords. Denhan is one of the leading letting agents in Lambeth. 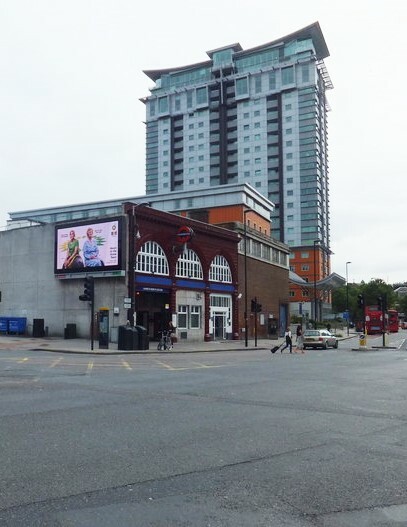 Our offices in Thornton Heath are ideally situated to cover the Lambeth area and our experienced team have in-depth knowledge of the borough, which stretches from the south bank of the River Thames to the Surrey Hills. Lambeth borough covers 10.3 square miles and its population is currently just over 310,000, which makes it one of the most densely populated inner London boroughs. There are around 136,000 households in Lambeth, but if current trends continue that number will increase to about 166,000 by 2031. Around 65% of households live in rented accommodation, with about half of those tenants renting from a private landlord. The northern tip of the borough, including Waterloo, shares characteristics with other parts of central London, while the urban areas of Brixton, Clapham, Herne Hill, Kennington, Stockwell and Vauxhall occupy the central part of the borough. The less built-up suburbs of Norwood and Streatham are south of the South Circular Road, which cuts through Lambeth. Larger employers in the borough include St Thomas’ and Kings College Hospitals, Ogilvy & Mather, Shell and the BFI. Lambeth has 8 London Underground stations –Brixton, Clapham Common, Clapham North, Lambeth North, Oval, Stockwell, Vauxhall and Waterloo. The borough also has 13 railway stations – Brixton, Gipsy Hill, Herne Hill, Loughborough Junction, Norbury, Streatham, Streatham Common, Streatham Hill, Tulse Hill, Vauxhall, Waterloo, Waterloo East and West Norwood. At the end of April 2016, a 20mph speed limit was imposed for most roads in the borough to make it safer for cyclists. Waterloo station is a docking station for Santander Cycles, London’s self-service, bike-sharing scheme for short journeys. There’s no need to book – hire a bike, ride it where you like, then return it to any docking station.